I viewed Craig Claiborne as a culinary God growing up in Manhattan. I mean, he was the New York Times food guru. What he wrote about restaurants resounded across our fair city with authority and expertise. His recipes were household staples and to this day I consult my New York Times Cook Book for the ultimate word in kitchen cuisine. I grew up with this teal and gold book. As my first cooking partner, it held so many possibilities - light and fluffy birthday cakes, rich and hearty stews and perfect salads. For Valentines day, I decided on a "redoux" of Mr. Claiborne's decadent and silky flourless chocolate cake. As a collaboration with Pierre Franey, it was a certain home run. There is nothing like the satiny feel and taste of butter and chocolate, slowly melting in your mouth. The mere mention of chocolate can cause American's to salivate. The name alone provokes thoughts of seductive sweets , dark and sultry, bitter or delicate. Preheat oven to 250 degrees. Grease an 8" or 9" spring form pan with butter. Put the chocolate squares and butter in a double boiler (if you don't have a double boiler fit a stainless steel bowl inside a saucepan or stock pot). Keep water at a simmer and stir the chocolate and butter until melted. Combine egg yolks and sugar in a large bowl and beat with an electric mixer. Mix until the eggs are light and lemon colored. Add the chocolate sauce to the egg mixture, stirring to blend thoroughly. Beat the whites until stiff. Add half the egg whites to the chocolate mixture and beat. Fold in the remaining whites. Pour batter in pan and bake for 1 hour and fifteen minutes. When the cake is done, transfer it to a rack. Let stand for 10 minutes and remove the rim from the spring form pan. Let cool and sprinkle with powdered sugar and raspberries. this looks amazing!! I bet it tastes super yum as well! 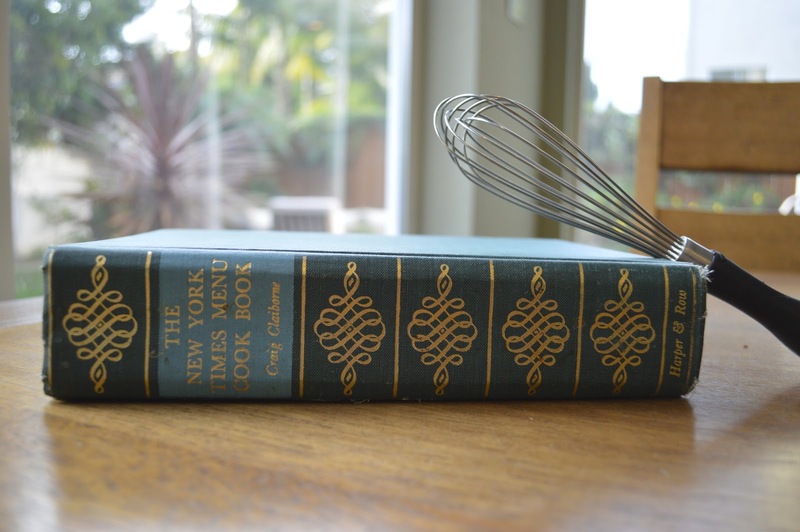 beautiful vintage hardcover cookbook you have there too! enjoy with your loved one! Thank you Juliana. Although I do most of my recipe research on the web - there's nothing like a classic cook book! Have a great Valentines day. I am definitely going to try this. Good thing I have everything in my pantry already! Enjoy and have a great Valentine's Day! Hi! How much water should be expected in the stainless steel bowl? About an inch should be fine. Just don't let the water touch the bowl your chocolate is in! I've not stopped salivating from first glance at her change up (only slightly) and drooled all down my shirt upon seeing her finished off PERFECTLY tasty treat!! Found your blog and recipe for this cake on foodgawker. 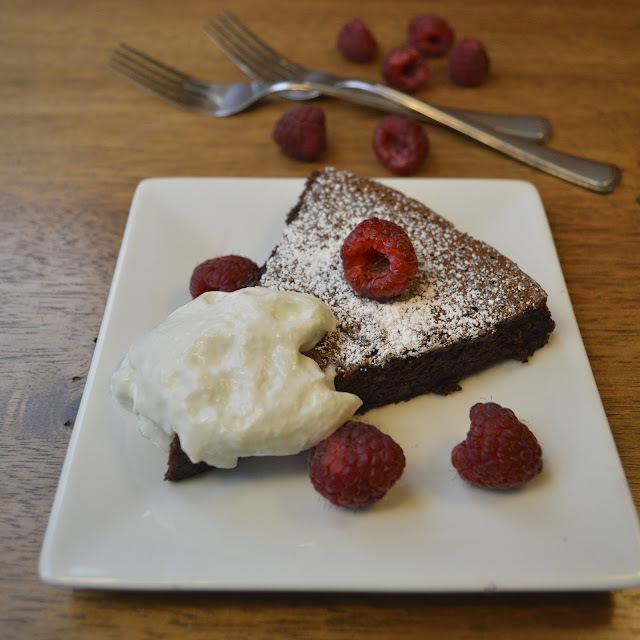 I have a gluten free friend that was over for a luncheon this past weekend and I made this for dessert. It was so easy, and everyone LOVED it! I will be posting about the gathering on my blog and sharing the link to your post with the recipe as well. I have made this many times over the years. Unfortunately, I can't find the recipe and wanted very much to make the cake for guests tomorrow. This is the best chocolate mousse cake ever! It is easy to make, tastes rich, and the fact that it is flourless makes it even better! I can't thank you enough for having this recipe! You saved the day for me! You should be fine. The sugar will act as a preservative. Just be sure to wrap real tight in plastic wrap, so it doesn't get dry. Thank you so much for your rapid reply! I could only find a 10" spring form pan... Do you think it will cook alright? Should i lessen the time or temp? A 10 inch pan will work fine. Your cake will be a little bit thinner but delicious. I would only reduced the baking time by 5 minutes - enjoy! do I have to use sweet butter? Sweet or unsalted butter is preferable. You will probably taste a bit of salt otherwise. However, that's not so horrible since salt and chocolate go very well together. 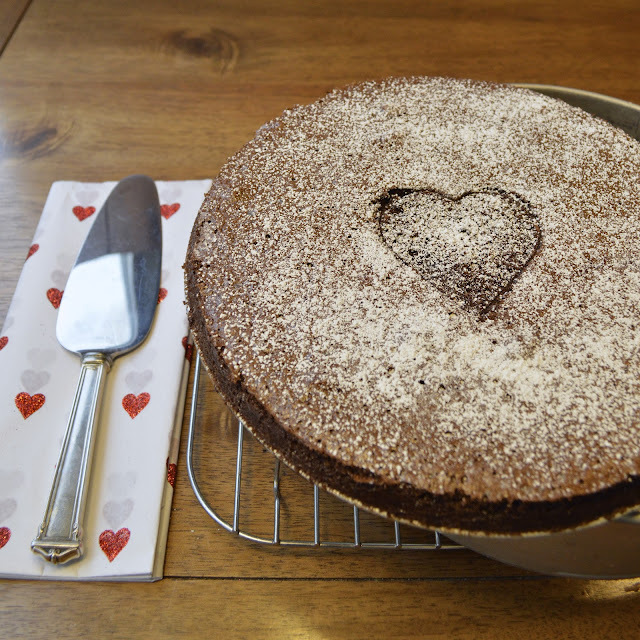 This cake looks great- am hoping to bring it to a dinner party held by a friend with Celiac. I´m in Europe and having a bit of trouble with the conversion of the chocolate, since 8 squares in one chocolate bar may be different. I bought a 100g Lindt dark chocolate tablet (8 squares)(couldnt find unsweetened chocolate)- is this sufficient? Could I use cocoa powder instead? Many thanks! Do you have baking chocolate in Europe. Look in the baking section of your market. If not it must be a half pound or about 227 grams of chocolate. If it's sweetened, I reduce the sugar in the recipe by half. I hope this works out. For some reason your comment got deleted :( However, I believe you asked about the baking temp and it is fahrenheit. I'm trying to make a 2-layered birthday cake for my daughter's birthday. Will this stack without falling apart? Hi there. Are you going to split one cake after baked or make two and stack? I would make 2 using a 9 inch pan if you can (so that it's a thinner layer). It's definitely on the richer side so small slices will be fine with some leftover hopefully! I made this for my mom's birthday... she's gluten free... and it came out awesome! Making it again for my sister and her family this weekend. None of us are gluten free but I just love it. haha Thanks! It's definitely a classic recipe that way pre dates the gluten free fad! I'm glad you enjoyed it. This turned out pretty rich. Whipped cream and ice cream countered the bitterness pretty well though. Great recipe!